Positivism did harm in other ways that are less well known. There is a famous experiment performed in 1897 by J. J. Thomson, which is generally regarded as the discovery of the electron. (Thomson was Maxwell's and Rayleigh's successor as Cavendish Professor at the University of Cambridge.) 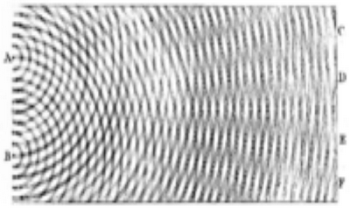 For some years physicists had puzzled over the mysterious phenomenon of cathode rays, rays that are emitted when a metal plate in a glass vacuum tube is connected to the negative terminal of a powerful electric battery, and that show their presence through a luminous spot where they strike the far end of the glass tube. The picture tubes in modern television sets are nothing but cathode ray tubes in which the intensity of the rays is controlled by the signals sent out by television stations. When cathode rays were first discovered in the nineteenth century no one at first knew what they were. Then Thomson measured the way the cathode rays are bent by electric and magnetic fields as they pass through the vacuum tube. It turned out that the amount of bending of these rays was consistent with the hypothesis that they are made up of particles that carry a definite quantity of electric charge and a definite quantity of mass, always in the same ratio of mass to charge. Because the mass of these particles turned out to be so much smaller than the masses of atoms, Thomson leapt to the conclusion that these particles are the fundamental constituents of atoms and the carriers of electric charge in all currents of electricity, in wires and atoms as well as in cathode-ray tubes. For this, Thomson regarded himself, and has become universally regarded by historians, as the discoverer of a new form of matter, a particle for which he picked up a name that was already current in the theory of electrolysis: the electron. Yet the same experiment was done in Berlin at just about the same time by Walter Kaufmann. The main difference between Kaufmann's experiment and Thomson's was that Kaufmann's was better. It yielded a result for the ratio of the electron's charge and mass that today we know was more accurate than Thomson's. Yet Kaufmann is never listed as a discoverer of the electron, because he did not think that he had discovered a new particle. Thomson was working in an English tradition going back to Newton, Dalton, and Prout—a tradition of speculation about atoms and their constituents. But Kaufmann was a positivist; he did not believe that it was the business of physicists to speculate about things that they could not observe. So Kaufmann did not report that he had discovered a new kind of particle, but only that whatever it is that is flowing in a cathode ray, it carries a certain ratio of electric charge to mass. Weinberg's point is to attack positivism, but he does not mention that Thomson's son, George Paget Thomson, won the 1937 Nobel Prize for proving that the electron was not a particle, but a wave. A modern equivalent is the dispute over the credit for the Higgs boson. 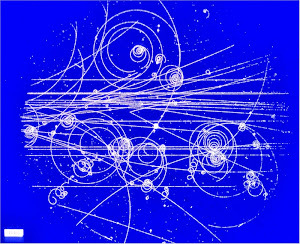 The Higgs mechanism was discovered by Anderson and others, and underlies the Standard Model of particle physics. Maybe a Nobel Prize should have been given for that decades ago, as it seems as important as what Weinberg did to get the 1979 prize. Now that the LHC is confirming the Higgs boson, Higgs is first in line for credit because he was the only one to predict a particle from the mechanism. Maybe they should just give the prize to the LHC for finding the particle. Scott Aaronson: I’d consider [Copenhagen] less an “interpretation” than a decision to treat quantum mechanics instrumentally, and simply not to ask certain questions. Douglas Knight: That’s rewriting history. Everyone in the 20s, pro or con (except Bohr), agreed that what Bohr said was that consciousness causes collapse. Scott Aaronson: Could you give me some sources for that? Bohr was a positivist. They seem to agree that everyone was persuaded by Bohr about quantum mechanics without anyone understanding the positivist view that he was taking. I would classify myself as a positivist, but I think there is a timescale problem. If someone devises a theory requiring a previously unknown particle, as Higgs did, then as we know he couldn’t demonstrate his particle’s existence experimentally – not at that time. So we have to be flexible in allowing time to devise the experiments. Too many scientists seem to take this flexibility as a remit to stay with theory forever. Multiverse and string theorists seem to do this. Yet it seems to me you can’t easily put a time limit on what they are doing. You can’t easily say, after such and such a period you must have experimental confirmation. So we end up claiming that some scientists aren’t even looking for experimental confirmation, which may be true but is denied or dismissed as inappropriate. Too often it isn’t inappropriate.